Rock Salt & Ice Control HQ  (a Duke Company) carries American Rock Salt: bagged, bulk/wholesale or by the pallet. 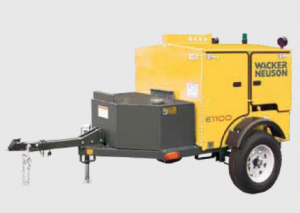 We also offer construction equipment rentals such as the hydronic ground heater Wacker Neuson E1100. We have fast delivery, and A+ customer service; as well as, expert advice on your ice/snow removal or construction equipment needs. Call the Rock Salt & Ice Control HQ  (a Duke Company) at 585-292-9870  (Rochester NY), or 607-347-4455  (Ithaca NY), for any questions. Shipping weight Dry                                          2,283 lb.